Triple Chamber Oil Expeller are designed for greater flexibility, capacity and efficiency. 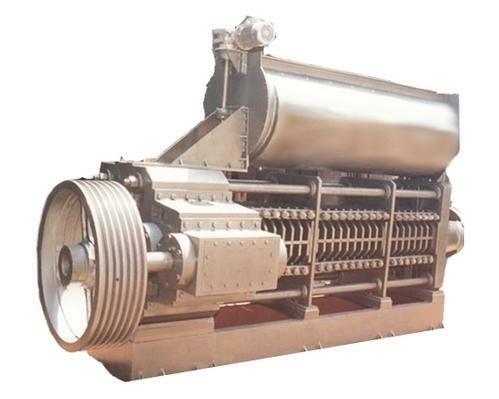 The Triple Chamber Oil Expeller are supplied with 2 to 6 stage stack cooker for conditioning the oil seeds before crushing. These cookers are self driven with their independent geared motor. New super press Triple Chamber Oil Expeller are based on the latest design and technology due to the constant in house R&D resulting in energy efficient expellers. Kumar Metal Industries Private Limited (KMIPL) is internationally recognized manufacturer, supplier and exporter of oil mill machinery, edible oil mill machinery, oil expeller machinery, solvent extraction & edible oil refining equipments. By virtue of years of experience & Kumar’s indigenous technology we are providing engineering excellence around the globe. Our corporate office is located at Bandra, the heart of the Mumbai & Manufacturing unit is situated in one of the largest industrial phase which is hardly 30 minutes away from our corporate office. We have successfully completed the projects in several regions like Europe, Africa, Asia & Australia. Our presence is in over 25 countries & our clients are more than 500.